Recently i have been creating a few different icon packs for free download, my previous pack of weather icons had such a good reception i have decided to create a new pack of weapon icons. 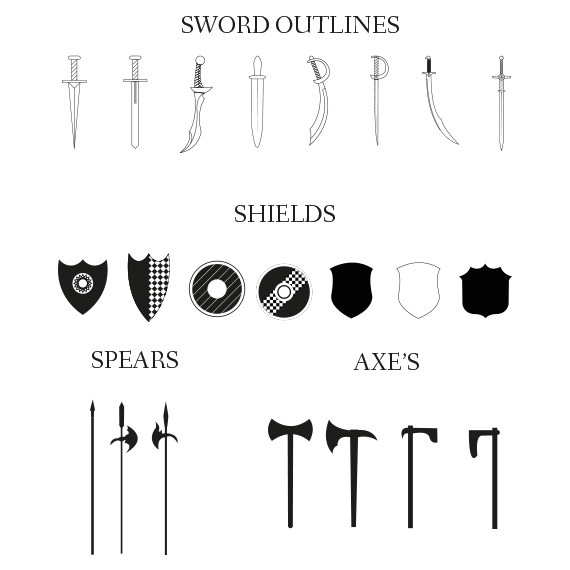 This includes swords, shields, spears and axe’s. Below you can download the vectors, ai and eps format are included, enjoy and let me know your thoughts! Although my icon packs are completely free for personal use, if you would like to use them for commercial use or would like to make a small donation so that i can carry on producing free content you can do so below through paypal.